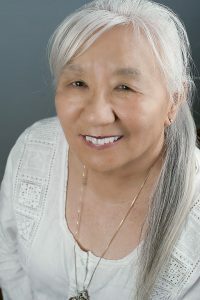 After a full and successful career in the helping professions, yk found herself being pestered by characters who insisted their tales needed telling and that her unique mosaic of life experience make her just the woman to get it all down, and out into the world. No longer denying her muse, yk is now working to share those stories with a world that clearly can use a little more love. She lives with an aging dog and an assortment of felines just outside a Central California coastal agricultural town that, on its best days, just might look a little like Walkerville. "Hey, author! Where do your characters' names come from?" This week's blog attempts to answer one of THOSE questions. yk's latest blog post is live now! "The Best of Times, The Worst of Times." All about how I research. Hello, all. Sorry for the long quietus. We HAVE been busy, just not in ways visible. Now I need to call your attention to this. Jessica is the woman that essentially built my web site, and she needs our help. I hope you'll consider pitching in. Copyright © 2019 yk miyazaki. Powered by WordPress. Theme: Spacious by ThemeGrill.